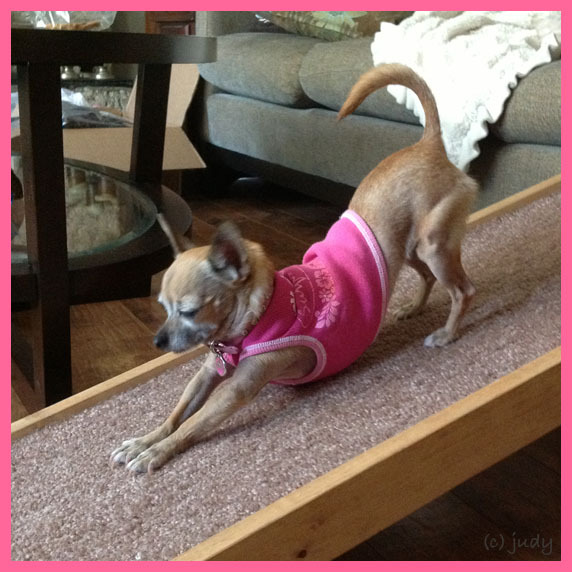 and the more advanced downward dog ... on a ramp! too cute! 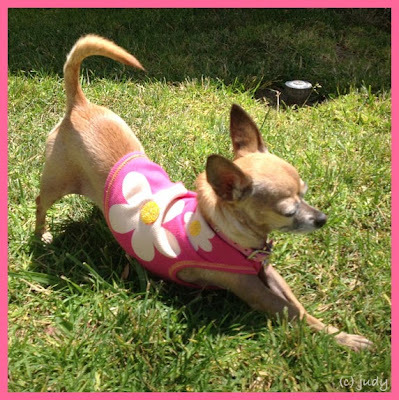 Must be doggy yoga week! I saw someone else do it too! 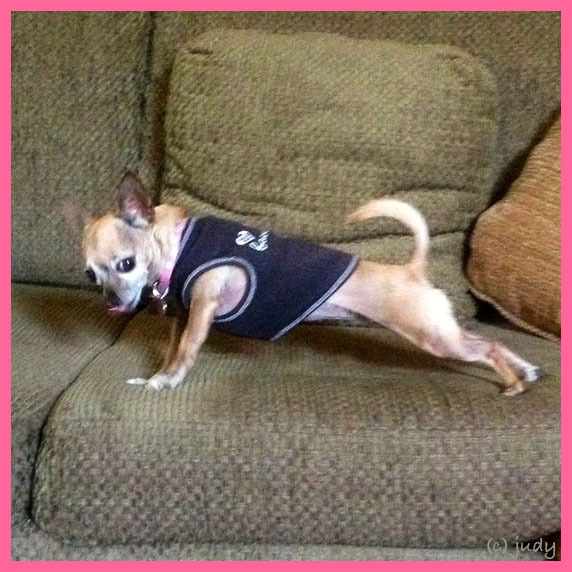 Wow, that plank form is mighty impressive! Hi Judy - you should mark this into a 'courtsey' for Miss Bailey (you never know when the queen might visit!). Our trainer told us every time I stretch like that (er, take a bow) my momma should mark it with "take a bow." This then actually becomes a 'dog trick' - and comes naturally. Good trick for visiting friends and extra treats for us doggies. Sending you nose bumps - WOOF! You must be very supple with all that doga. Mum would try it but she might break a hip, he he! Hahaha bailey your plank is way better than mine! I am so entertained by this little friend.